Take your passion and make it happen! It’s not just a line from the musical Flashdance – it’s also designer, Charles Viancin’s approach to his life’s work, expressed in a nutshell. These days, Charles (also a passionate cook) is creating products designed especially for the kitchen. And just like all of Charles’ work, his love of the natural world shines through. Looking for a sunnier take on boring old kitchen gadgets? 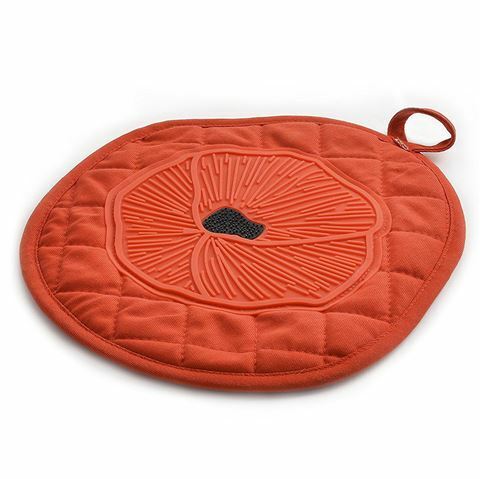 This Daisy Trivet/Potholder is a clever multi-use tool for your hands and your table, being made from silicone that is heat-resistant to over 200ºC as well as durable, colourful cotton. Charles Viancin has done it. He’s put the fun back into functional. What a feeling! Designed in France by Charles Viancin. One side includes a grip from food grade, BPA-free silicone, which is heat-resistant to 220°C.